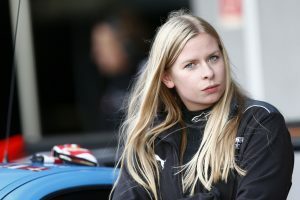 Hailing from Horsholm, Denmark, Nielson is the daughter of Danish sports car racer Lars Erik Nielson, but she only began racing in 2007 at the kart level at the insistence of a friend. Four years later, she finished third in the Karting World Championships, and she’s been climbing the racing ranks ever since. Now, driving for TRG-AMR, Nielson can win her first major championship if she and co-drivers Kuno Wittmer and Brandon Davis hold off Paul Miller Racing’s Dion von Moltke and Christopher Haase at the 10-hour Petit Le Mans at Road Atlanta on Saturday. 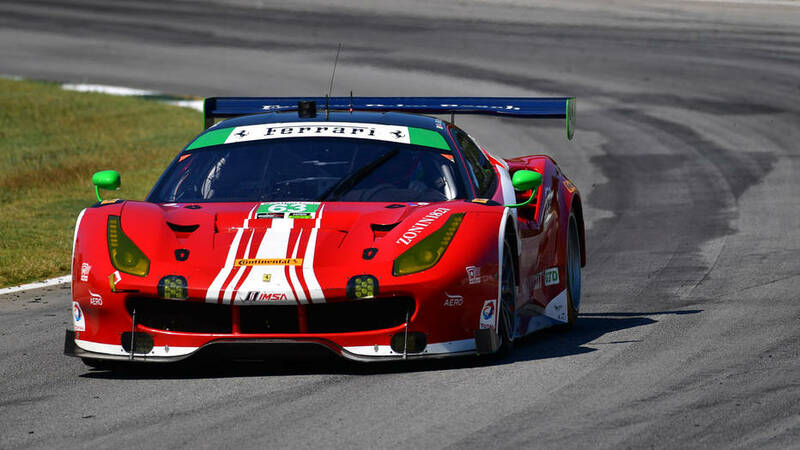 The race serves as the annual season finale for the TUDOR United SportsCar Championship. 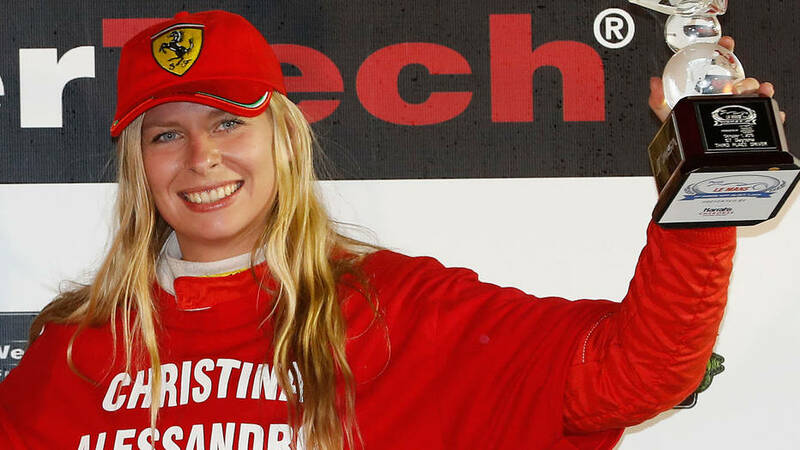 Christina Nielson has said that winning this championship would be a major accomplishment in her career, and she believes it would be a step in the right direction towards becoming a pro driver. She’s also said the fact that no other female has won it before makes it even more special. After four second-place finishes and one third-place finish so far this season, Nielson and her teammates will look for similar results against von Moltke and Haase, who sit one point behind in the standings with 255 in the No. 48 Castrol EDGE Audi R8 LMS. Von Moltke and Haase, who will be joined by Bryce Miller at Road Atlanta, where the standings leaders for much of the 2015 TUDOR Championship season. Nielson’s second-place finish at the Continental Tire Road Race Showcase at Road America last month vaulted her into the lead, and she’ll look to hold it through Saturday. The No. 48 car, which won at Petit Le Mans last year, isn’t the only threat to Nielson’s lead. Behind von Moltke and Haase are Scuderia Corsa’s Bill Sweedler and Townsend Bell driving the No. 63 Robert Graham/Royal Purple Ferrari 458 Italia. The two have racked up 252 points this season and sit just five points out of the lead. Eleven points behind Nielson and in fourth are Ben Keating and Jeroen Bleekemolen, who have made a late surge with two first-place finishes in the last three races. Driving the No. 33 Riley Motorsports TI Automotive/Viper Exchange Dodge Viper SRT GT3-R, they’ll be joined at Road Atlanta by co-driver Sebastiaan Bleekemolen. Coverage of the race will begin on FOX Sports 2 at 11 a.m. ET on Saturday, including the finish and post-race coverage that will begin at 8:30 p.m. ET. For more information on Christina Nielsen or just to keep up with who she’s bypassing on the track this week, follow her on social media. She’s on twitter as @christinaniels6 and Facebook here.